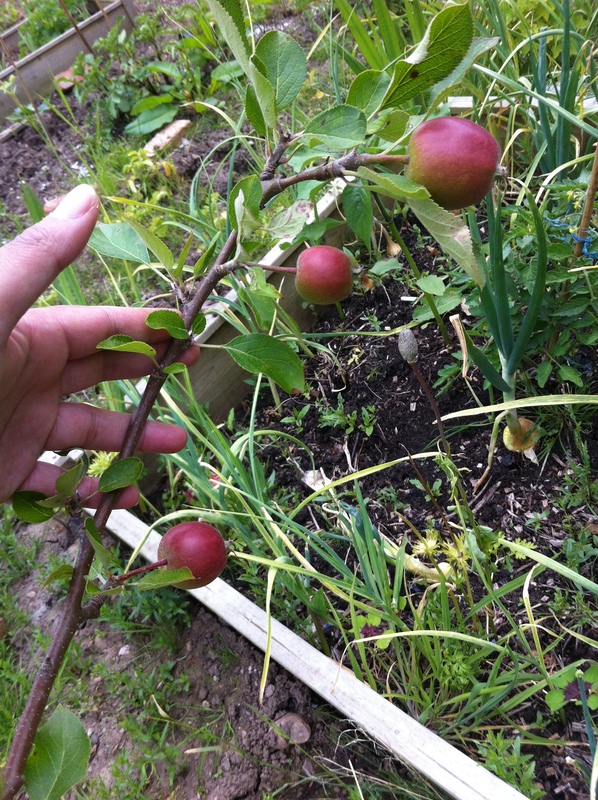 There are three apple trees on the plot. Two of them, the braeburn and Worcester pearmain are relatively new additions on having being planted last year. The falstaff is something of a resident. 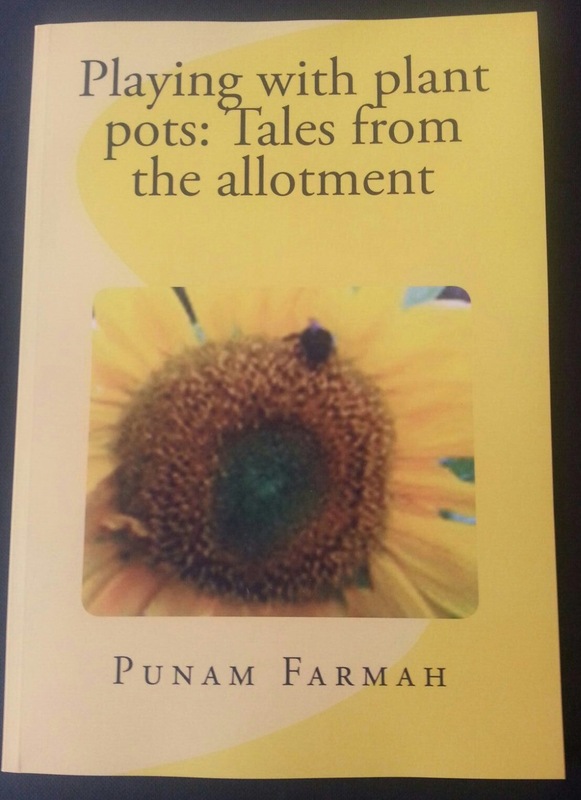 In the past, the falstaff has fruited, and last year we may have had about a dozen red apples. That was lovely. the apples were nice. This year though, all three are in blossom, lovely pink flowers, that suggest a possible bountiful harvest. I was very surprised to see the braeburn in full blossom, I had only seen buds about a week ago. This has to be the biggest tree as well, in comparison to the other two. The worcester pearmain is the smallest. With May only just starting, I am conscious of the fact that here in Birmingham, we get a frost right up to the end of the month. This means, that in the next three weeks, if the temperature drops, and the flowers have not set; then it’s good night Vienna for them all. The blossom looks rather robust, however, so we shall exactly what happens. I have been some what worried as I wander around the plot, that there was something of a delay with the blossom. There seemed to be blossom everywhere, but my little corner of the universe. 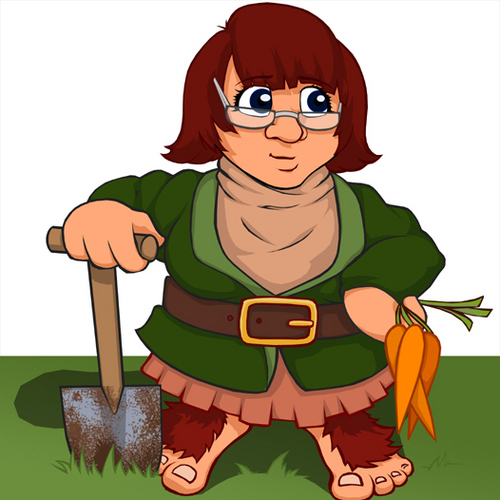 So I made something of a close inspection today, to see if there was anything growing. 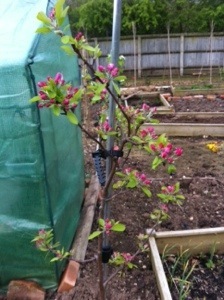 The braeburn, worcester pairmaine and falstaff apple trees have started to send out leaves and blossom. But what really took me by surprise was the presence of plum and pear blossom. The concorde pear tree has blossomed previously, but then lost all it’s blooms. The victoria plum even fruited once, three years ago, but nothing since. Whilst I feel somewhat alarmist, I’m not holding out too much hope this early. With having hope, I had somewhat lost it with the rochester peach tree. Unlike the Moor park apricot, a recent addition, the rochester peach looks a pale, skeletal thing, about to snap in half. I looked down, thinking that I perhaps needed to weed around the base. A single solitary shoot protruding from the bark. Al is not, perhaps, lost. In comparison, the moor park apricot is slowly waking and sending out green shoots. Blueberries were watered today, with saved rain water. Not looking so bad, sending out buds and flowers. We might end up with fruit yet. Falstaff apple and concord pear blossom. 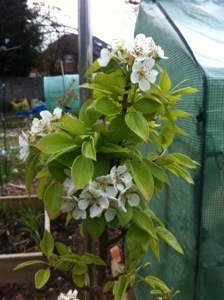 The pear tree has never blossomed before so that is something of a exciting sight. Lots of red falstaff blossoms though. Let’s hope they survive!